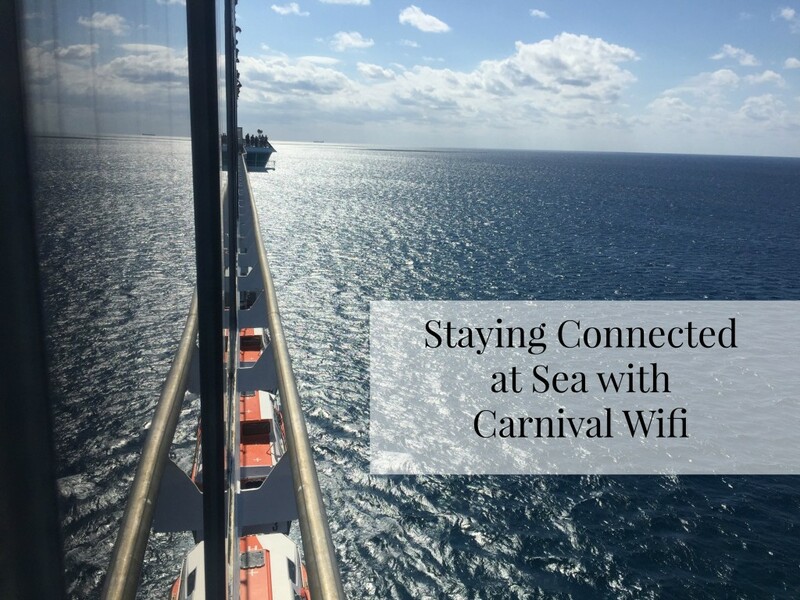 CARNIVAL CRUISE LINE NEW WIFI SOCIAL MEDIA PLANS, THE REACTION BY YOU THE CRUISER ! Carnival Cruise Lines New Wi Fi Social Media Plans, The Reaction By You The Cruiser. First of all I just want to say a BIG thank you to everyone who responded to the article that I posted on Wednesday the 13th of July 2016. I have had some great feedback from you all about what cruisers want from having Wi Fi on board to what you expect from the cruise in regards to service and how much we all think that we should be paying. The comments that are expressed in this article are those NOT expressed by me but of those of your fellow passengers, so please keep that in mind! Australians have always wanted a way to show how much fun they are having on their cruising holiday. It has become very important to lots of Australians that we want to keep in touch with our loved ones [ family ] and friends to also show them on how much fun we are having at sea or for that fact any holiday abroad. But with that comes the issues of Accessibility and affordability of being able to have Wi FI internet access at sea. The issue that lots of people have is that it is too expensive and that when used the bandwidth is no capable of handling many people on the Wi-Fi system. This is due to when you are at sea there are other capability and supply issues, which are out of one’s control. We have people making these points and expressing how they feel if a service that is going to be provided at a premium, but not going to be reliable or get value for money. One reader who responded to the article said “Costs a fortune on board your ships as I type this” and he was not happy that he was having to pay so much to keep in touch with family and friends. Then there were others who have expressed that they would only purchase it for the last day. With one person saying “I purchased it the last day of cruise just so I could check in at airlines and print our boarding passes and info” This reader also noted that several people were using it that day to do what she had been doing and when asked why she didn’t do it for the whole cruise, the response was the COST involved. Cost seems to be a major factor when it comes to using the Wi Fi at sea, with one person saying “We paid 15 per day 3wks ago and I agree prices should come down”. If the cruise lines see this as a way to bring in more revenue wouldn’t it be better to lower the price a bit more giving everyone a chance to use it?? Then there is the value side of it, if a cruise line is going to offer a Wi Fi social media plan/s at sea one would think that you need to show substantial value in what you are offering. There has been much talk of others comparing different cruise lines in what they have to offer. This just from one reader “Princess has great Wi-Fi and free to a certain amount when Platinum” you get better deals all round with Princess. Some people even think that if you combine certain packages that you get a better deal just like this one from P&O Cruises Australia, with one person saying “Can’t talk for carnival but can speak for P&O Cruises Australia, Was just on Pacific dawn and brought the 199 photo pack and came with 7 days free use of Wi-Fi for social media. Was fantastic. Plus we got every photo taken on the ship. Was well worth it. Then there are the issues with the bandwidth and also the capability and supply issues at sea. There are those that think that just by having Wi-Fi available to them at sea is going to be the same as if they were on land. Well I can assure you that it is not, on a coastal cruise to Moreton Island which for those of you who don’t know it is near Brisbane. As you enter Morton Bay, Moreton Island is on your port side going into Brisbane and on your starboard side coming out of Brisbane. There have been times that if the ship is close to land going to or from Moreton Island depending on your mobile carrier that you may or may not receive service. Some have been very happy to pay for the social media package only to come across capability and supply issues. With one person saying “I did use the social media package. My daughter called me one evening on FB. The call was like a relay call. I did not use it a lot. I was able to post pictures and send messages but I did fine that there were lots of drop outs”. This is just one example of a coastal cruise where people may or may not have received mobile service. It also depends on the satellites and the cloud coverage and how far the ship might be out to sea. Then there is the weather which can be great one day and evil the next, there are many factors that have a bearing on whether or not you’re going to able to receive an internet service by Wi Fi at sea. So keeping all this in mind I just think that it’s up to each individual to make their own informed decision. Before you go on a cruise research the cruise line and the cruise ship you are going on. 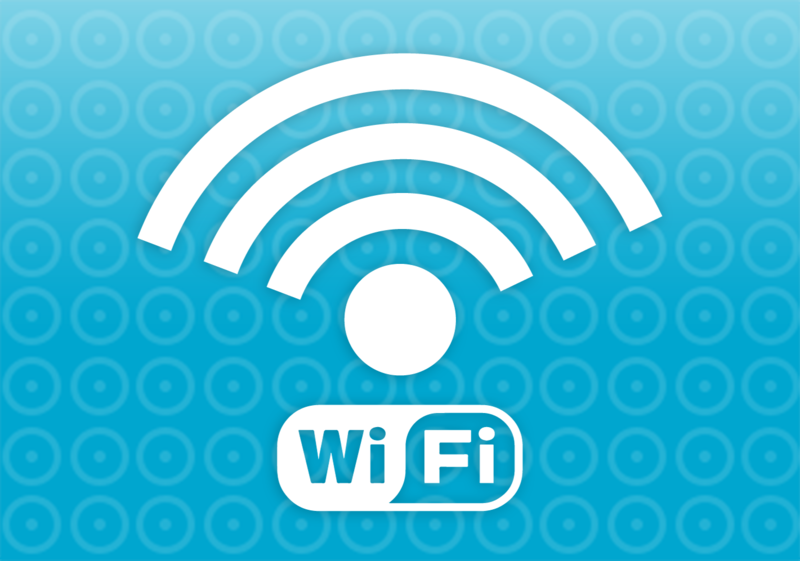 Have a look at what they have to offer in the way of Wi-Fi Internet and whether it’s going to suit you and your needs and what you want to use it for. 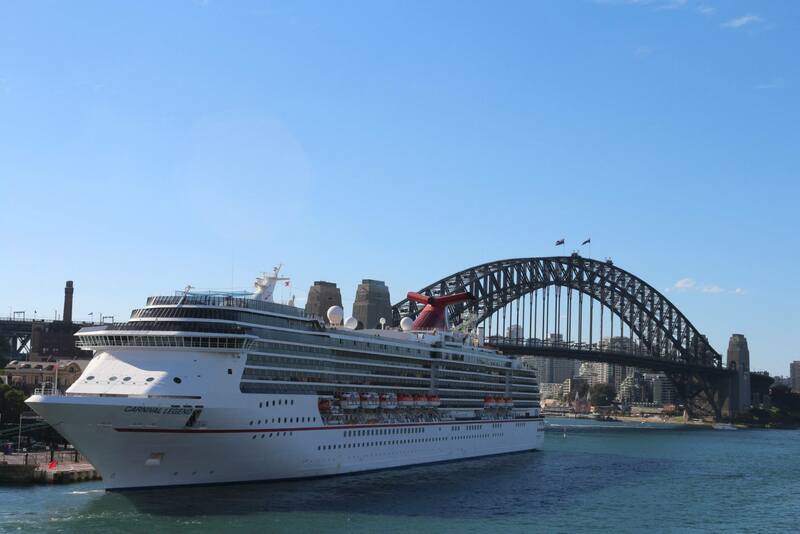 From May 2016, Carnival is introducing faster and cheaper internet and social media packages on its ships based in Australia - Carnival Legend and Carnival Spirit. The improved internet access offers “significantly increased” bandwidth and speed, with “value package” (AU$ 30 per day) for unlimited access to the web and faster “premium package” (AU$ 50 per day), which allows vacationers to make Skype video calls to family and friends. The new social media package offers unlimited access to sites like Facebook, Instagram, Snapchat and Twitter, from AU$ 15 per day. Additional discounted plans are available for the entire sailing. 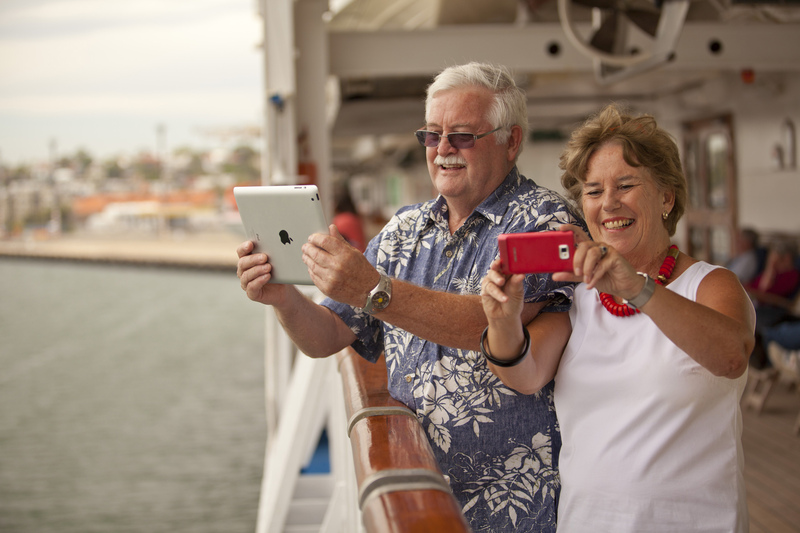 The new packages follow the 2015 launch of Carnival’s Selfies at Sea app. Available for download free of charge at Android and Apple stores, the app collates a series of photos taken onboard into a mini-movie which to be shared on social media channels. I hope that this has been helpful, and happy cruising to all. Ship photos credit : Brian Gaskin Of Cruise The Seas Media. Information supplied by: Cruise The Seas Tavel And Media, Cruising Australia The HOME Of Australian Cruising! TRAVELLING PARENTS CHOOSE SOCIAL MEDIA OVER POSTCARDS ! Information supplied by : Princess Cruises. Cruise The Seas Travel And Media, Cruising Australia the HOME of Australian Cruising !